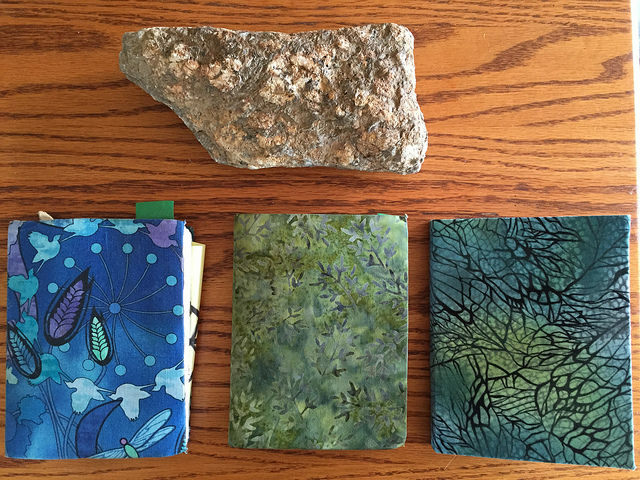 Druids training within OBOD are encouraged to document their experiences by creating some sort of physical journal. In fact many mystery schools coming out of either the Golden Dawn or grimoire traditions encourage the keeping of written notes about one’s spiritual and magical practice. (And actually, if one wants to note small irony, the inquisitors and witchhunters also were encouraged to keep diaries of their observations.) Even as far back as the PGM we find spell formulae being written down to preserve them and pass them along to other seekers. In the West, at least, the written word is a cornerstone of preserving our esoteric and occult heritage. However, on more than one occasion it has occurred to me that keeping a dairy can be a dangerous thing. What were once meant to be private experiences, or only meant for the eyes of other like-minded people, can fall into the wrong hands. Or, if not the wrong hands, hands that don’t know what to do with them. Paper trails and documentation form the basis for our society, from legislative to judicial activities. If it was written down or otherwise recorded, it can potentially be used against you. Now in the age of the Internet, the diary has taken on a new, more public form: the blog. This brings with it a whole new set of hazards. Not only are one’s thoughts potentially out in the open for everyone to see, but there is an undeniable risk of ego inflation and celebrity-seeking that one to simply not have to worry about with a private, physical journal. In addition, there is the phenomenon of various subcultural blogospheres: the pagan blogosphere, the polytheistic blogosphere, the peak oil blogosphere, etc. Probably one of the most critical threats blogging poses to original thinking is constantly exposing the writer to confirmation bias. People tend to seek out like-minded folks – in and of itself not necessarily a bad thing – but time and again small, cliquish echo chambers are created around two or three forceful personalities who inadvertently begin to dictate the tenor and subject matter of what is or is not spiritually and socially significant. I begin to think that I should be writing about whatever XYZ Topic the big-name-pagan-of-the-week is ranting about, when really, most of the time, I couldn’t give two figs about the latest online pagan community kerfuffle. Media fasting is a concept I was first exposed to when I did an Ayeurvedic cleanse back in 2007. While I’m not sure I want to experience the “nothing but juiced greens for 21 days” again, the notion of separating myself from the constant drone of popular and news media has proved quite a useful tool. I don’t read blogs except for Friday nights when I’m at the pub, and whatever I’m able to read in that time I get to, and anything else I pass to the trash bin. Only being able to speak for myself, as a blogger I do find myself craving “likes.” This ain’t healthy, folks. It becomes an obsession rather than a metric. With that in mind I’m actually going to remove the “like” button from my blog posts. * I find myself increasingly irritated that a post which took hours of research or creative struggle gets only a little notice, while a flippant statement with the intellectual and emotional rigor of “I like cheese!” garners an avalanche of little WP stars. It’s very easy for me to fall into the trap of people pleasing, and an abundance of likes definitely feeds into that character trait – whether or not what I’m writing is what I want to be writing or should be writing for my own path and truth. You don’t need to depend upon Internet echo chambers for inspiration. Just go out and sit in the sun, listen to the gulls, and taste the salt of the sea. Awen flows in the quiet spaces between, if we let it – not in the incessant static buzz of the blogosphere. *Comments are always welcome, and I love engaging people in discussions, so please do continue to drop notes about posts that move you for whatever reason.